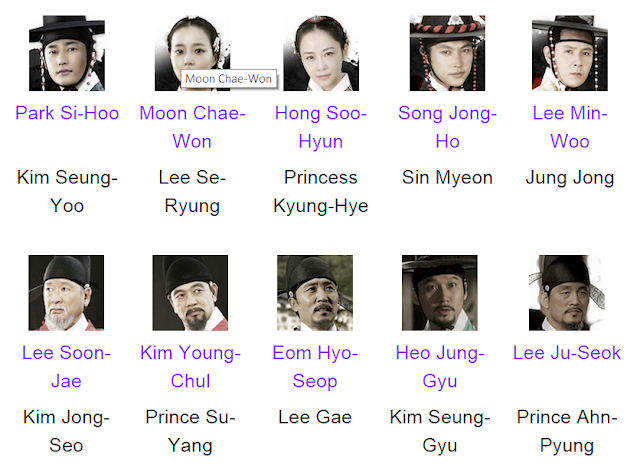 A Romeo and Juliet Story Combined with a Richard III story set in the Joseon Dynasty period. "Juliet" is a daughter of a prince or "Richard III" while "Romeo" is the son of a family loyal to the old regime. It has all the qualities of a good sageuk like an interesting historic background and believable political affairs, but also adds a good fictional storyline to keep it intriguing. Every detail in this drama is thoughtfully put together, from the characters’ dialogue, to the themes & motifs, to cultural & historical references. It’s been years since I’ve marathoned a drama like I did with this one. It’s been years since I lost sleep over a show and walked around like a zombie as a result, my thoughts locked firmly on some memorable scenes. Political discourse, lovers separated by circumstances and betrayal among friends were running themes throughout the story. This drama will be worth your time. If you not fond of Drama and Revenge, test the waters first.